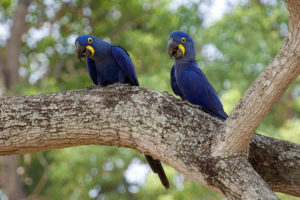 A visit to Brazil’s Pantanal. 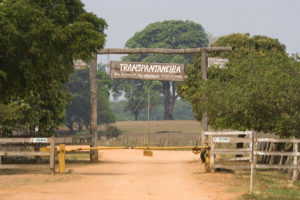 Naturalist Journeys is back to the blogging world and wanted to kick off our first new post with a great participant account about her time in Brazil’s Pantanal. Please enjoy Kelly’s comments and her perspective on what we too, thought was a fantastic wildlife safari. Before we all go back to our daily lives, and our memories start to fade, I wanted to thank both of you for a truly spectacular trip to Brazil! Xavier, your ability to manage the details -both large and small- of a logistically difficult trip is impressive, and your willingness to accommodate the needs of everyone in the group is much appreciated. Peg, your knowledge of birds is equally amazing, and your steady cheerfulness (even through the group’s episodes of illness, and when some of us, [i.e. me], were getting tired and a little grumpy around the edges) was critical to the success of the trip! Bob and I hoped to see a piculet on this trip, but are not disappointed that one didn’t appear, since we instead became better acquainted with a far superior bird – the “red-crested Peg-u-let”! I hope the association continues. Watching the incredible numbers of herons, egrets, ibises, and miscellaneous other “aves” fly up as we went along in the bus, boat, or on foot. 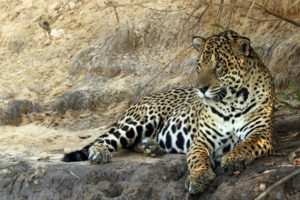 One of the great wildlife viewing opportunities still left in the world, this experience rivals the sight of zebras or giraffes running across the plains of Africa. 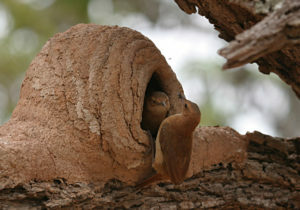 or particularly showy, their characteristic strut and epic nest-building efforts epitomize the Pantanal for me. Pouso Alegre. If I could magically transport myself back to one of our sites for an occasional weekend visit, this would be it. I loved the wetlands, the walk to the hide, the tegus outside our door, and the overall peacefulness. 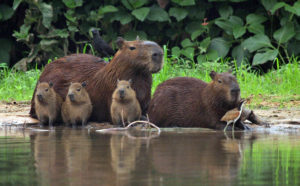 The charming, befuddled expression on the faces of all capybaras, large and small. I still want to bring one home … Bob bought a capybara leather belt in Uruguay but it’s just not the same. 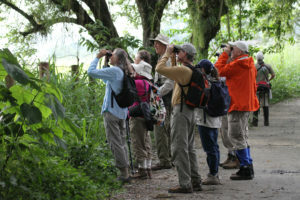 The unexpected sight of the Streamer-tailed tyrants along the road to Caraca. So cool, and one of the reasons having an experienced guide is essential! 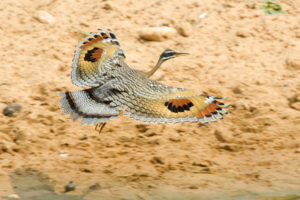 Who else would know to look for such a spectacular bird in such a mundane location? 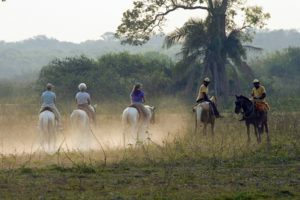 The hikes at Caraca Sanctuary. The undisturbed habitats here are a rare treasure – in both an ecological and spiritual sense – allowing us lucky visitors to truly connect with the landscape. I will remember the araucaria trees, the fantastic flora of the fens, the Face of the Giant, the Pin-tailed manakin, and the quiet of the Brother’s Woods for a long time. Flocks of [Gilt-edged] and Brassy-breasted Tanagers! Amazing! 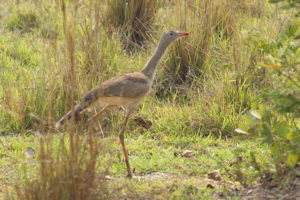 Our extended encounter with the unflappable Red-legged Seriema –too funny! Our final count of (~?) 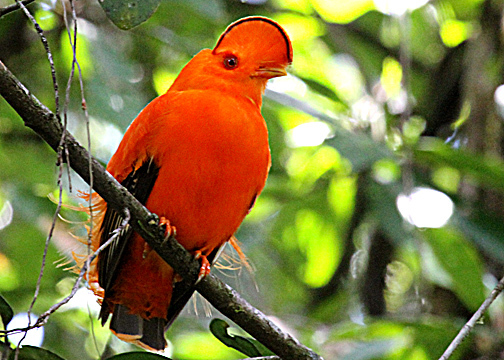 302 bird species, each with its own character and personality. 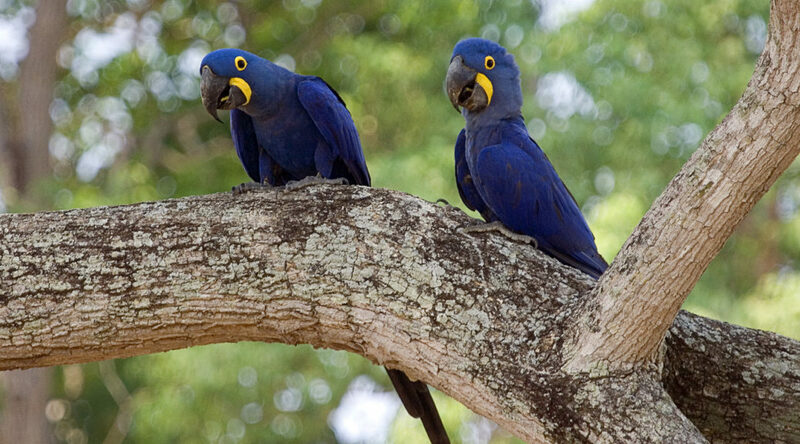 Thanks for traveling with us, Kelly … we can’t wait to go back to the Pantanal again next year. Search our other South American destinations.